Prometheus Institute and Greentech Media analysts produce original reports and research briefs. Our results are reliable, our analysis objective, and our methodology rigorous and transparent. Founded in 1982, PV News is the PV industry’s oldest newsletter. Each month it brings original data, stories, and insight into the trends affecting the PV industry. PV News provides industry participants and observers with news stories and primary data from around the world on companies, markets, and technologies. 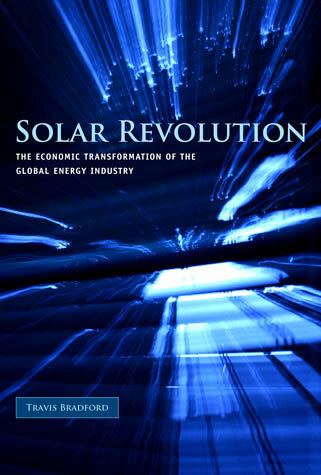 Written by Travis Bradford and published by MIT Press, this book predicts an inevitable shift to solar energy that will transform everyday life as radically as did the last century’s revolutions in information and communication technologies. In the past three decades computers and telephones have become decentralized and wireless. Solar energy will do the same for the energy industry, using nearly identical semiconductor technologies and for the same economic reasons, by harnessing the nearly limitless energy from the sun.